Today, pressure cookers are available in the market of different attractive designs and different functionalities depending on distinct coking requirement sets. A high quality pressure cooker takes the minimum time to prepare the required food. This is achieved by generation of greater amount of heat keeping the food quality intact. 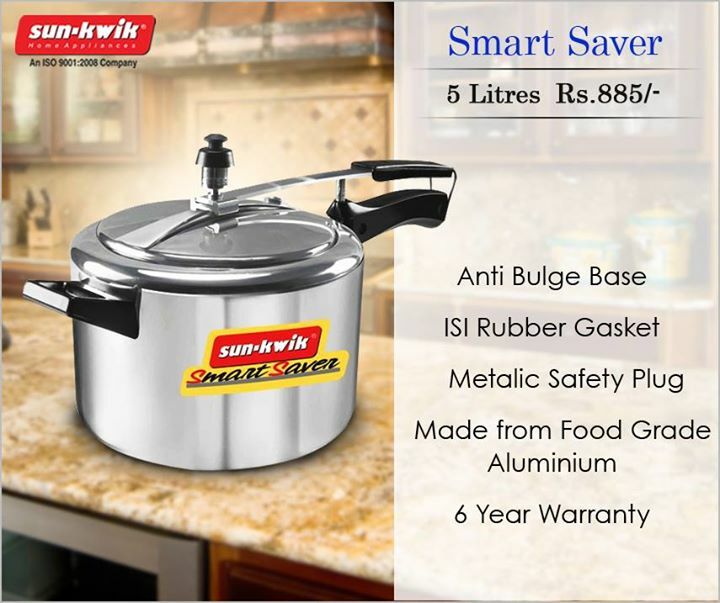 A high quality pressure cooker accomplishes the required cooking at an appreciably faster rate, consuming less energy, thus ensuring lesser amount of electricity bill. Hence, it saves money for the customer. A top quality pressure cooker effectively retains all the essential vitamins and minerals while cooking various food at high temperatures and thus ensures consumption of nutrient-rich food. Such food maintains good health. Raw food items purchased from the market contains several harmful micro-organisms like Bacteria and Virus which must be destroyed before consuming the edible food. The best pressure cooker efficiently accomplishes this cooking requirement while high heating and accordingly ensures germ-free food consumption. A high quality pressure cooker has appreciable food capacity and is capable of cooking lots of food items at a time with the desired result. This is a requirement to meet cooking requirements for any domestic occasion such as birthday, invitation or festivity. This is also an important feature. Pressure cookers must be purchased by seeing whether it has a strong help handle because it ensures proper and safe holding of the product while cooking. A premier pressure cooker can effectively accomplish various cooking purposes which include steaming, sauting, browning and warming. It is capable of preparing various dishes of vegetables, fish, meat and rice of all levels of complexity. A high quality pressure cooker has a long functioning life. If a pressure cooker is able to offer praiseworthy cooking even after years of use, then it is undoubtedly worth buying. This feature must be judged only while buying electric pressure cookers. A state-of-the-art electric pressure cooker has an easy-to-operate control panel which helps the user to accomplish all his/her cooking needs through push buttons. Each push-button performs a specific cooking function. Nowadays, pressure cookers are available with useful pressure cooker accessories like Grids, molds, Separators, steaming basket and others which greatly help in cooking. If you are looking to buy a high quality pressure cooker, you may come at Sunkwick – a premier pressure cooker manufacturer and supplier. It offers high-efficiency pressure cookers of all varieties in huge quantities at jaw dropping prices.